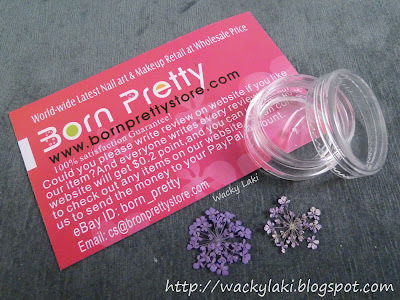 I received an offer from The Born Pretty Store to review their nail art Dried Flowers. I have been wanting to try these flowers for a while so I couldn't resist. 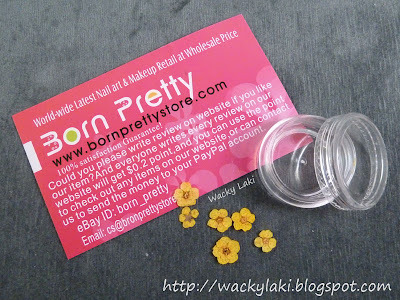 The package contains 12 different flowers, each one in it's own little plastic jar. Have you tried these dried flowers before? I would love know what you think of them. 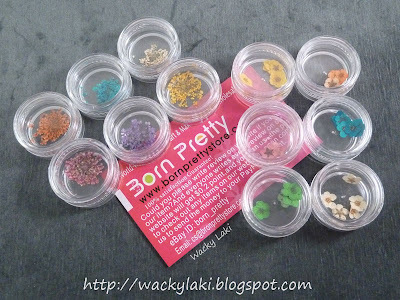 You can find these Dried Flowers at The Born Pretty Store. They were kind enough to send a 5% off code that you can use on any purchase. That is gorgeous! I need me some! It looks amazing! So beautiful! Great job! I received the same! You did and excellent job,I love it! I love your flower manicute! Very pretty... Love the colors together! I love those ! Now do you have to "flatten" them so that they don't stick out too much??? Where can I get some??? Love it. I ordered some. Can't wait for them to come now. Pretty! I love the pick with the flower from your mom's garden! It looks so spring-like, so pretty and delicate. Love it! I really love the way you used them. 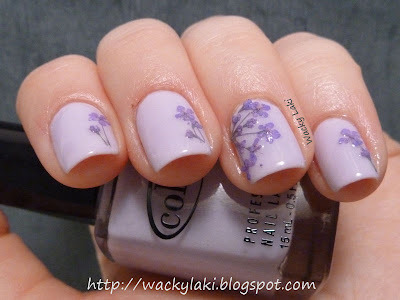 The mani's gorgeous! I ordered them last week! Can't wait to get them! I love the way you wore them, so subtle and pretty! Gorgeous!!!! 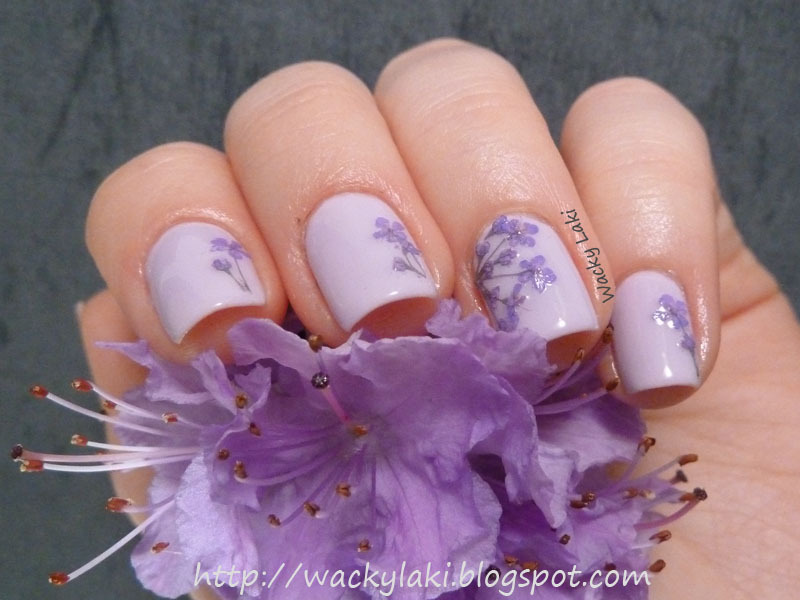 I have never tried the dried flowers yet! 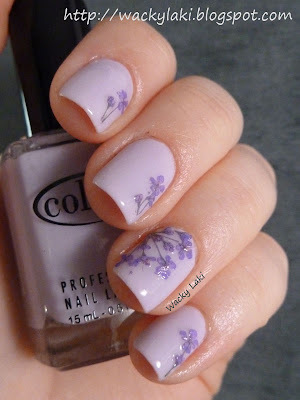 These are sooo pretty! @Cee, they are fun! Need more time to play with them for sure! @Jennius, thank you so much!! @Cutie-cles, thank you, I'm glad you like them! I would have never thought to use dried flowers on a mani. I will need to order some because this is simply wonderful.